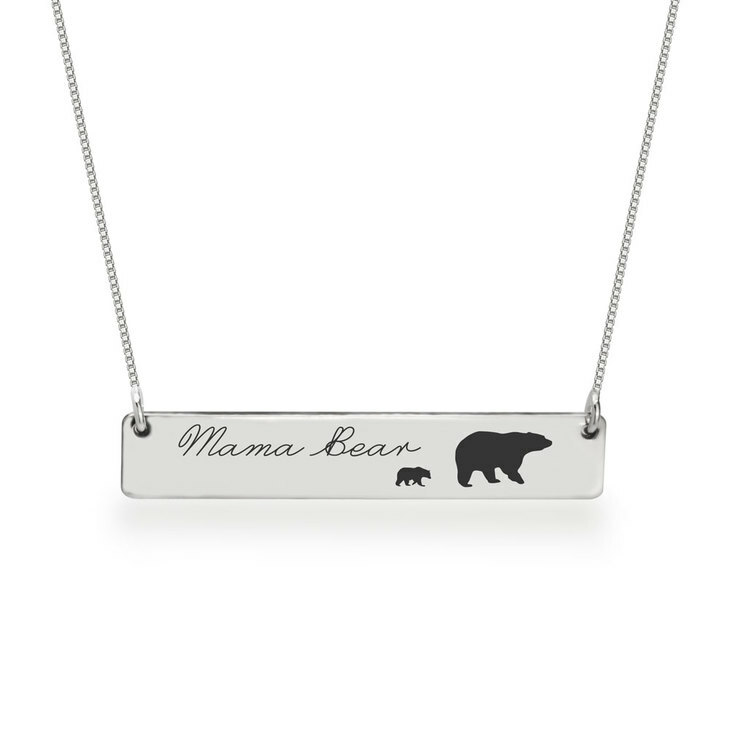 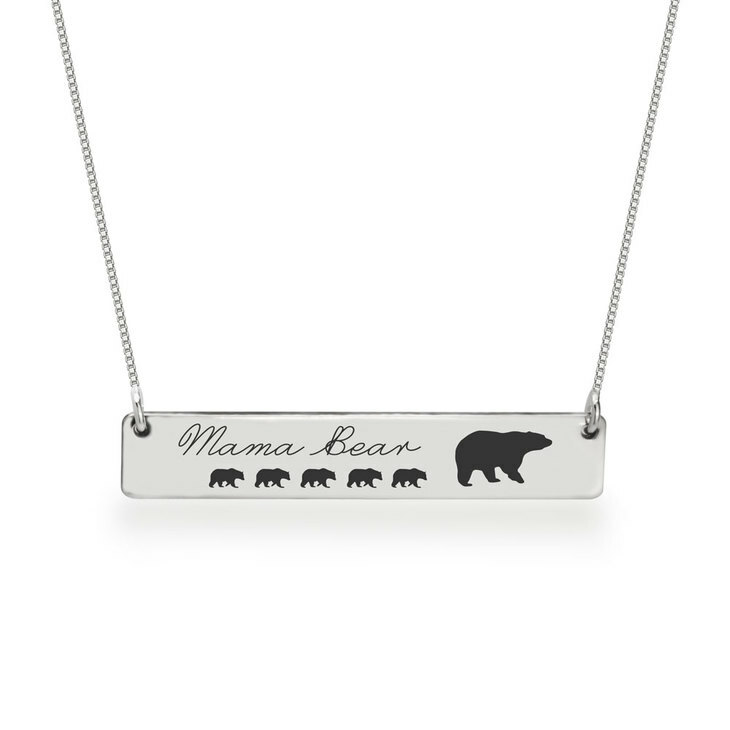 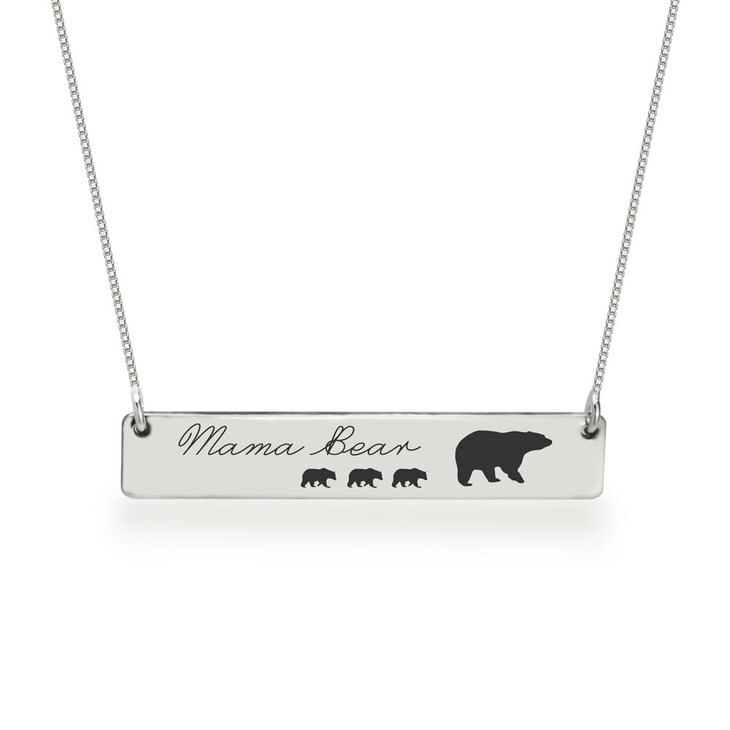 The perfect accessory for that special mama bear in your life, this simply adorable Personalized Mama Bear Necklace is a stunning and thoughtful gift idea. 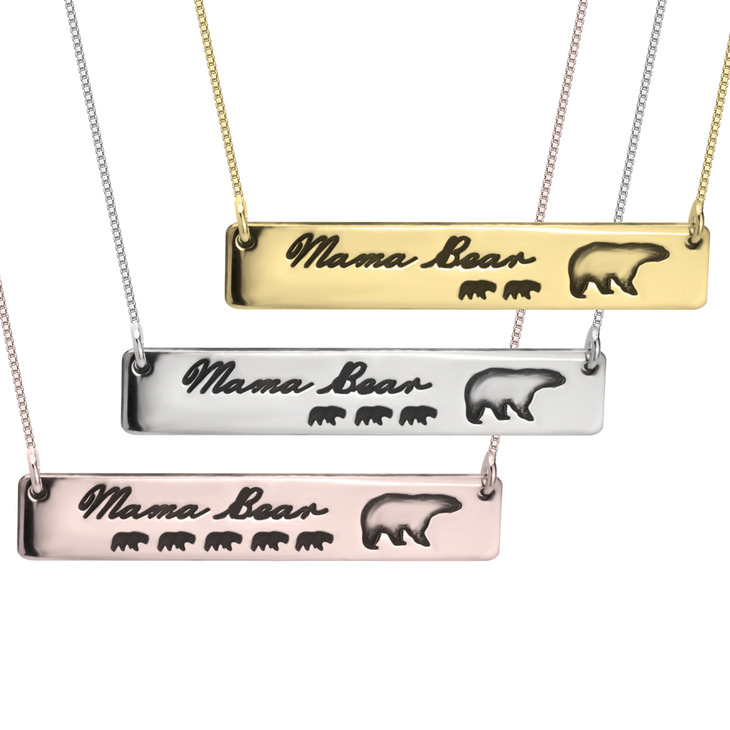 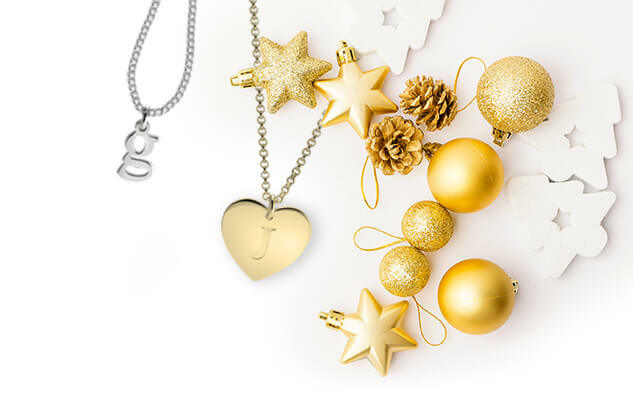 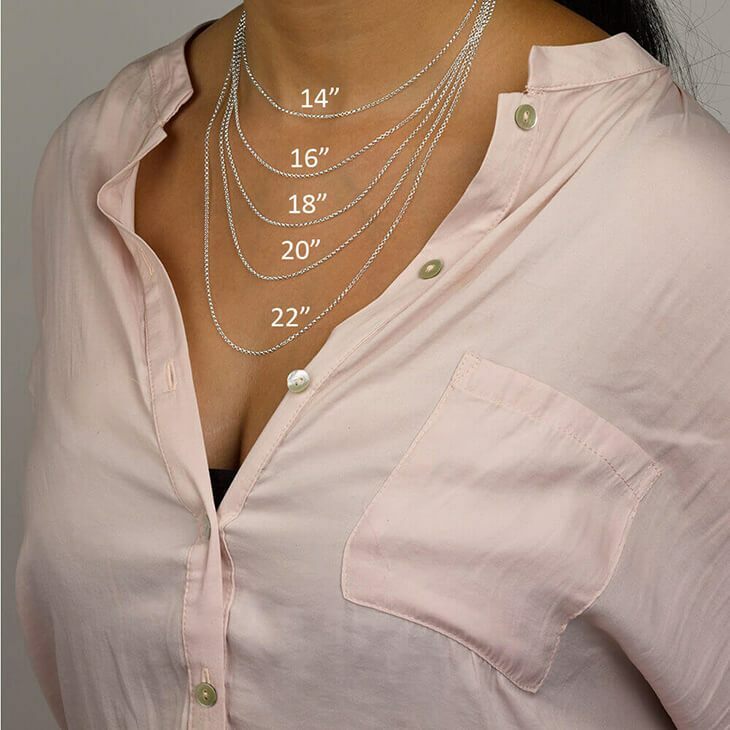 Whether it's for your mom or any special mother, this dainty bar necklace comes in three shades of silver, rose gold and gold, for a unique piece she's bound to be delighted by. 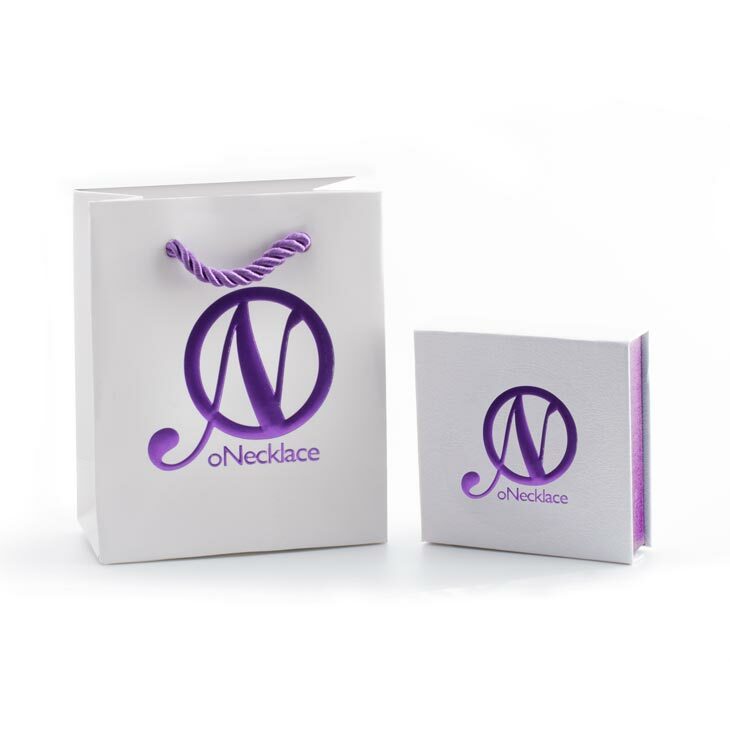 Perfect for any occasion, from Mother's Day to a birthday or anniversary. 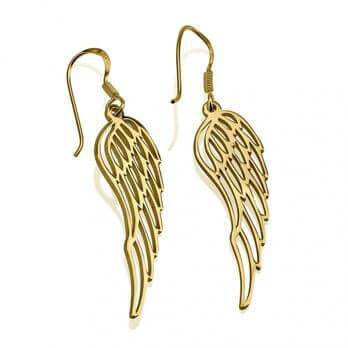 Order yours now, with free worldwide shipping! 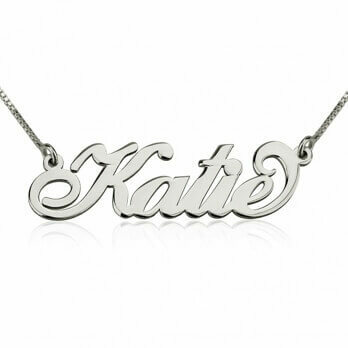 This was a birthday gift for my daughter in law. 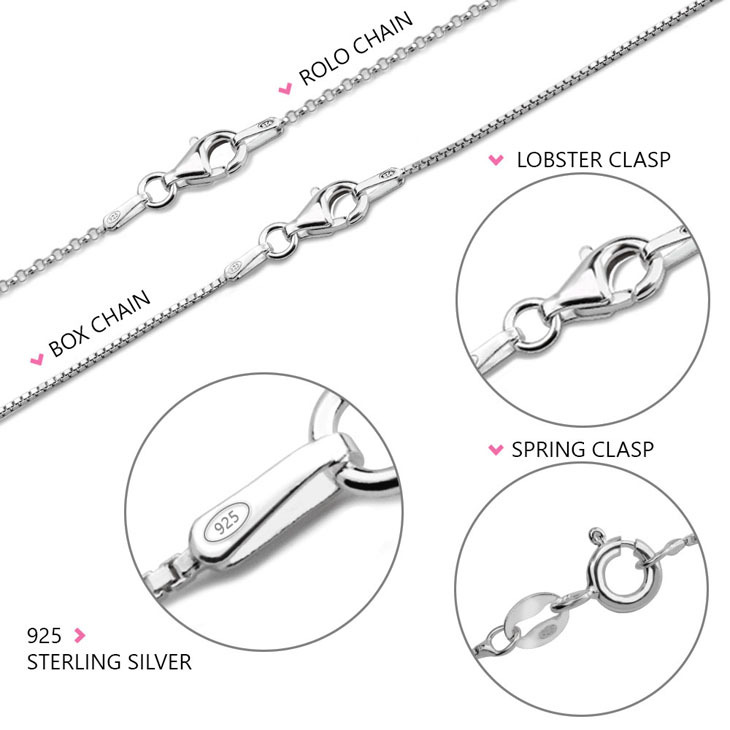 She absolutely loves it.